Sweet Baby Mallory: Guess who is 3 months old today? I'm unsure of how that much time passed by already. I think it had something to do with me having surgery (I had my gallbladder removed 2 weeks after she was born, 1st ride in an ambulance and a wonderful 4 day hospital stay), then Mallory spending almost 1/2 this month at Helen Devos. It's hard to believe she is 3 months old still. It may also have something to do with the fact that still eats and sleeps like a newborn that's got me thinking she still is one. I will tell you one thing she is a VERY strong girl, she holds her head up like a champ (and thats pretty impressive when you have a head in the 97th percentile! Not ashamed to admit my girls have some big noggins), she NEVER stops moving and she knows what she wants. I had preterm contractions with her for almost 10 weeks, they never really dilated my cervix though but I was still placed on bed rest to prevent that. So the month of August wasn't much fun! She was due on September 27th, 2011 (Also her Uncle Robb's birthday) and I had my last doctors apt was on September 22nd. I went into labor that night (My girls are very thoughtful when it comes to NOT being overdue). I never had regular contractions when I went into labor, 10 minutes, then 4, then 7, and so on and so forth, I paced my house for 7 HOURS before deciding to head up to the hospital. One thing my girls aren't so great at is making a fast appearance, 17 hours of labor with Miss Mallory and she was finally born on September 23rd @ 4:10pm. (and YES I totally had an epidural, when I was told I was being admitted I told them to get the anesthesiologist ASAP!). She was a PERFECT 7lbs 10 ounces, 20 inches long. Round chubby cheeks that were and still are ooooo sooooo kisssable :-) I promise not to post my labor story again till she's 1 hehehehe! We are going HOME today! YIPPIE!!!! They are doing a blood transfusion this morning, her hemoglobin is at 8.5 and they usually do transfusions at 8 but her next clinic apt isn't till next Thursday so they just want to perk her up before then so she eats better. Babies who are anemic tend to be lazy eaters (which could be another reason why she doesn't eat very well anyways). So transfusion, pick up prescriptions and get out of here! I was also informed that we do NOT have to do shots on her at home (these shots would have been to raise her white blood count). I was so nervous about this, I would totally do them if I had to but I am thankful that we don't. If she was 2 months or younger we would have had to but we escaped that by the hair on our chinny chin chin. HAPPY 3 MONTHS SWEET GIRL! You don't have to have daily shots!!! One big bummer about Chemo is house arrest. We will not be enjoying any Christmas parties this year, no shopping trips, and pretty much staying inside for majority of the winter. Thanks to the many illnesses that strike during this time of year. We are being extra cautious of her right now, her blood counts have not dropped yet but will be on a steady decline the next 2 weeks and we will not be taking any chances of her getting sick. So I am really bummed to miss out on our families gift exchange and not seeing all of our adorable nieces and nephews opening all the AWESOME things we got for them (yep I rock at gifts!) but I know they are thinking of us and Miss Mallory and will totally understand why we can't be there this year. So Ryan is dropping off all of there presents to them, picking up a Pizza on his way home, and I will be lighting a bunch of candles like we do every year at his parents on Christmas Eve so we can still keep up the tradition even though we can't be there. Christmas day will be totally full of snuggles, Christmas music, and playing. We're gonna make the best of it even though we can't be a part of my family's party. So Christmas this year is going to be different but it definitely will be memorable. Hope everyone has a WONDERFUL Christmas. 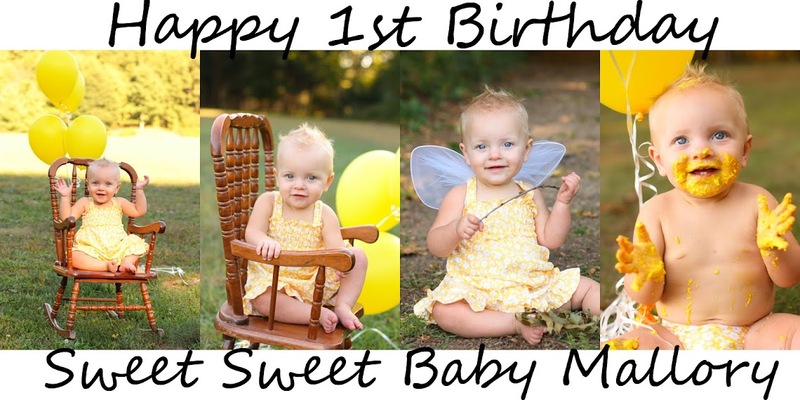 Happy 3 months old Miss Mallory..Your Nana and Papa miss u so much!!! We talk to Jillian about u all the time..and I even let her sit on my lap and we look at all Your pictures on facebook!!! Nana and Papa r so proud of u!!!! Merry Christmas to you and your wonderful family! So happy Mallory is doing so well and just wanted to let you know your family will be in our thoughts and prayers this holiday. Our little girl is the same age as Mallory, just turned 3 months as well!